« Box #9: Purple Beans! This week, we rescued 3,000 hens from a California “egg laying” hen farm. The hens arrived with severely overgrown toe-nails. All had been de-beaked, in which a portion of their beak is cut off without pain relief. Read more about the rescue. Apply to adopt some of the hens! Fill out a form here. There is nothing more special than providing a loving, permanent home to these incredible hens. Volunteer to help care for the hens at our Grass Valley and Vacaville shelters. Mixed cherry tomatoes – yellow and red sweetness! Black Beauty Eggplant – Slices work well on the grill, brushed with olive oil and basil. Or try the babaganoush recipe below. Yukon Gold Potatoes – that may be it for Yukons. You’ll get a new variety next week. 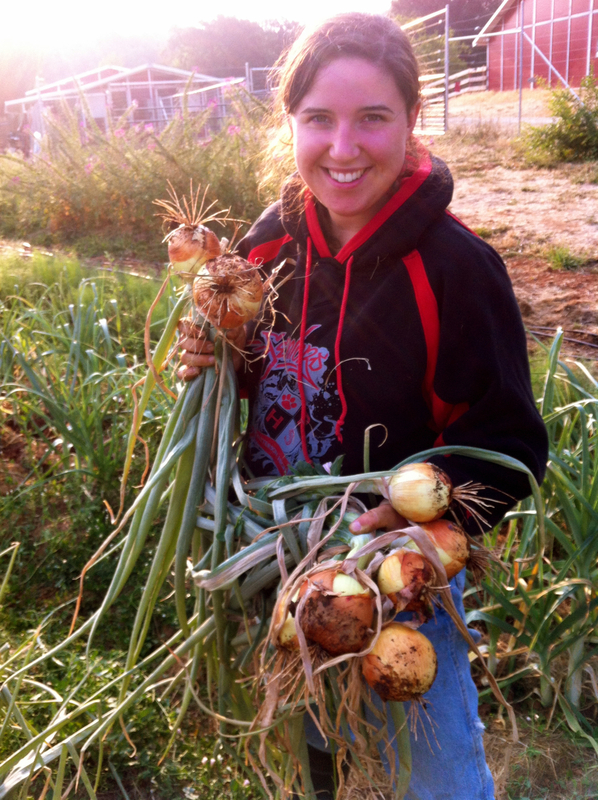 Varna Leeks – that’s all she wrote. Red onions are up for next week. Walla Walla is just about the best name for an onion! We harvested many wheelbarrows full of Walla Walla’s and yellow Cortland onions, which are now drying in the shade. We are using fence panels as table tops to allow maximum air circulation as the outer layers form a papery, protective skin. In about 2 weeks, we’ll cut off the green onion tops, and give them a couple more days to further dry out. We look forward to divvying out your shares over the remainder of the season! Preheat oven to 425 F (or better yet, do this on your barbecue grill!) With a fork, punch a bunch of holes in the eggplant and place it on a baking dish or sheet. Cook for about 45 minutes, until the eggplant is all sunken in. Remove from the heat and let it cool until you can peel it safely. Peel and put it in a food processor. Add the salt, garlic, lemon juice, and tahini, and process until it’s smooth. 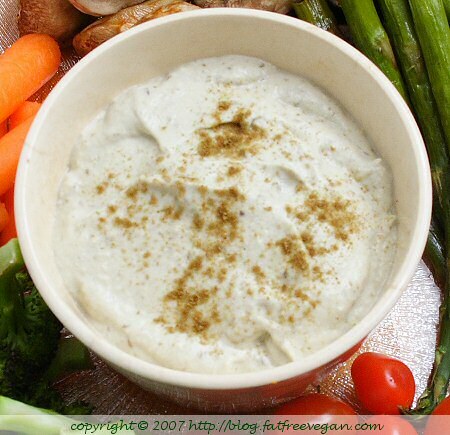 Serve sprinkled with cumin and surrounded by the vegetables of your choice. Makes 4 servings. Per serving: 58 Calories (kcal); 2g Total Fat; (30% calories from fat); 2g Protein; 10g Carbohydrate; 0mg Cholesterol; 541mg Sodium; 3g Fiber.